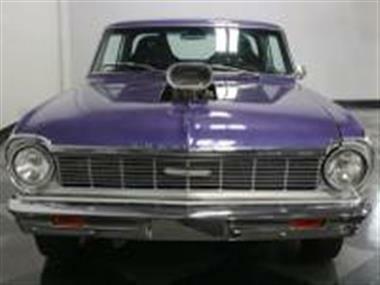 1965 Chevrolet Nova in Fort Worth, TX for sale. 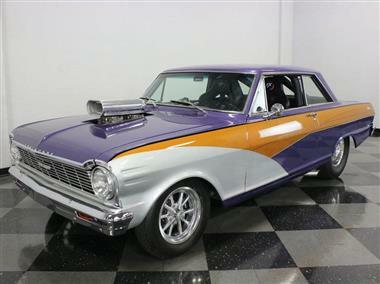 It may look like a 1965 Chevy Novaand#44; but this incredible purpleand#44; yellowand#44; and silver hammer is the kind of car that makes grown men cry. Built from the ground up to take no prisonersand#44; its a supercharged tube frame beast that runs like a race piece yet is happy on the street.<br /> <br /> Every piece of sheetmetal on the car was smoothedand#44; massagedand#44; modifiedand#44; or replaced during the buildand#44; which shouldnt be surprising since theres a fabricated tube chassis underneath. But while it was apartand#44; they took the time to get every piece of steel back into shape before reinstalling it as carefully as youd do it on a restored car. That means great panel alignmentand#44; doors that open and close easilyand#44; and a steel hood that was cut open to let the scoop peek out just a bit. Once it was properly assembled and massaged into shapeand#44; a few coats of that custom paint went onand#44; all highlighted by a black pinstripe and a few graphic flourishes on the quarters. Bumpers appear to have been replacedand#44; all the glass was fitted with fresh weather sealsand#44; and the stainless moldings were buffed. Most of the emblems were retainedand#44; but when folk see this car coming theyll know exactly whats in store without needing a badge to tell them about it.<br /> <br /> The completely custom interior shows off some quality stitchcraft and an eye for subtlety. Sureand#44; the car is a Pro-Street terror bathed in multi-hued paintand#44; but the serene black interior is an awesome contrast. The form-fitting buckets are as comfortable as they look and sit low in the car so its easy to get behind the wheel. And speaking of the wheeland#44; its a custom 3-spoke piece that feels meaty in your hands. Auto Meter supplied a full complement of Ultra-Lite gaugesand#44; plus a Monster tach down low under the dashand#44; while the actual speedometer and fuel gauge are cool digital units ahead of the driver. Like any good race carand#44; there is no radioand#44; and in its place are the controls for the ignition systemand#44; starterand#44; and other ancillariesand#44; all within easy reach. The roll cage was wrapped to help it blend in and where the back seat used to be theres now a big set of wheel tubs and a network of reinforcing tubing that makes this car feel rock solid on the road. 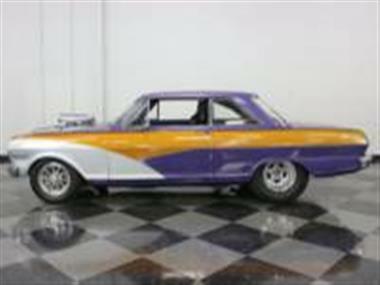 The trunkand#44; of courseand#44; is full of fuel cell and batteryand#44; both beautifully made and looking like they belong at the track.<br /> <br /> Performance comes from a 355 cubic inch Chevy small block V8and#44; which is based on a Dart 4-bolt block and a forged double key crank and I-beam rod. A pair of blower carbs feed the polished Weiand 671 blower and a set of 8.5:1 forged aluminum pistons. A Comp Cams roller cam and lifters handle valve events. Yeahand#44; this sucker definitely cackles like it wants to hurt you. 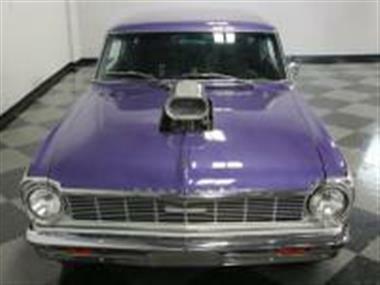 Its all very professionally presented with race-grade equipment throughout the engine bay and lots of polished aluminum. 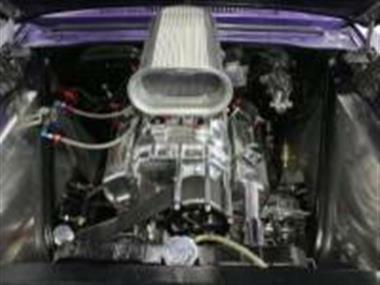 The soundtrack from those long-tube headers and Flowmaster mufflers is anything but friendly. A TH350 3-speed automatic with a reverse valve body and a high-stall converter links to a narrowed Currie 12-bolt rear end full of 3.55 gears on a Detroit Locker with Strange gears and axles. Tubular A-armsand#44; coil-oversand#44; rack-and-pinion steeringand#44; and 4-wheel disc brakes round out the hardware. Skinny front tires and massive Mickey Thompson meats give it that track stance that seems to somehow fit under the stock sheetmetal. 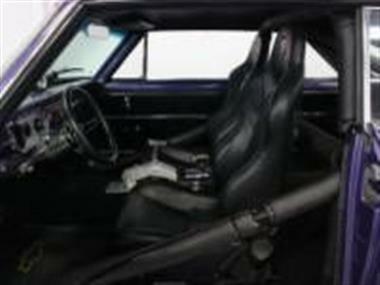 <br /> <br /> Theres so much more to this car than we can include hereand#44; you really need to call for all the details. 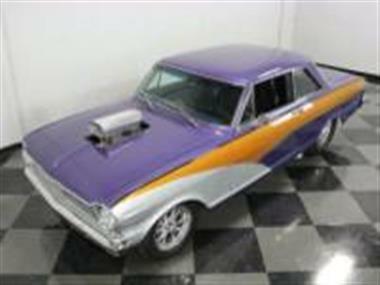 With build receipts and maintenance recordsand#44; you can own this incredible Pro-Street Nova without worries. Call today!